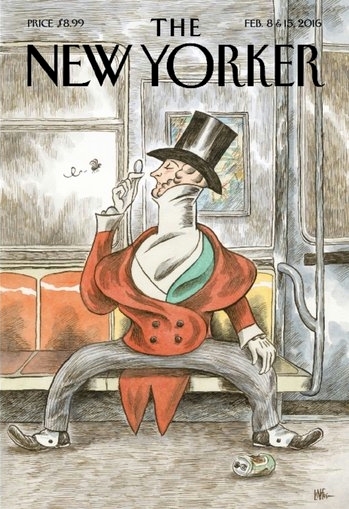 The New Yorker has a newsstand cover price of $7.99 and a regular subscription cover price of $1.45 per issue. It's not cheap and very rarely goes on sale. This price is available for both new and renewal subscriptions, per Amazon: "You can renew any subscription, even if it wasn't originally purchased from Amazon. Just make sure the name and address you enter match exactly the name and address on the mailing label for your magazine subscription. This will let the publisher know that this is a renewal order. When you're placing your order, you'll see an estimated date when you'll receive your first issue. Don't worry--as long as you use the same name and address, the publisher will add the issues to your current subscription." This can also be sent as a gift subscription as well, and Amazon will let you send a little note with the gift. The subscription is set to auto-renew, but you can easily shut that down in a click. Here's what you do to shut down that auto-renewal: right after you subscribe, under your Amazon account, click on the Manage Magazine Subscriptions link, find the name of the magazine you just subscribed to and de-select the auto-renewal option. Voila, no more auto-renewal! Pretty easy to do, and it allows you to take advantage of a great subscription price offer.